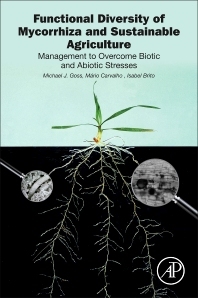 Functional Diversity of Mycorrhiza and Sustainable Agriculture is the first book to present the core concepts of working with Arbuscular mycorrhizal fungi to improve agricultural crop productivity. Highlighting the use of indigenous AM fungi for agriculture, the book includes details on how to maintain and promote AM fungal diversity to improve sustainability and cost-effectiveness. As the need to improve production while restricting scarce inputs and preventing environmental impacts increases, the use of AMF offers an important option for exploiting the soil microbial population. It can enhance nutrient cycling and minimize the impacts of biotic and abiotic stresses, such as soil-borne disease, drought, and metal toxicity. The book offers land managers, policymakers, soil scientists, and agronomists a novel approach to utilizing soil microbiology in improving agricultural practices. Professor Michael Goss has worked on soil management, soil plant relations and agriculture’s footprint on the environment for over 40 years. His focus has been on soil physical properties and their impacts on root growth, with work on tillage and land drainage. This work stimulated an interest in the transport of materials, such as plant nutrients, pathogenic microbes, antibiotics and biologically active compounds through soil and their contamination of water resources. A parallel interest in the interactions between soil microbes and root systems also resulted from his initial studies. All these aspects are critical for the development of sustainable agricultural systems, particularly in a world experiencing global climate change and a rapidly increasing population. Professor Mário Carvalho’s research interests are related to different aspects of low input cropping systems; tillage systems, crop rotation, integrated weed control and nutrient management. In addition he has developed a very close contact with producers over the past 30 years, establishing a solid scientific and practical knowledge of cropping system management under conservation agriculture. More recently his focus has been on the use of symbioses, specifically arbuscular micorrhiza and rhizobia, in bio-protection of cultivated plants within the cropping systems. Dr. Isabel Brito’s research field is the management of native arbuscular mycorrhizas in low input cropping systems, particularly in Mediterranean regions. Key areas of study are the effects of common agronomic practices (weed control, tillage system and crop rotation) on AMF diversity and AM colonization of small grain crops. More recently she has focused on developing strategies to manage indigenous AMF within cropping systems for the bio-protection of cultivated plants.